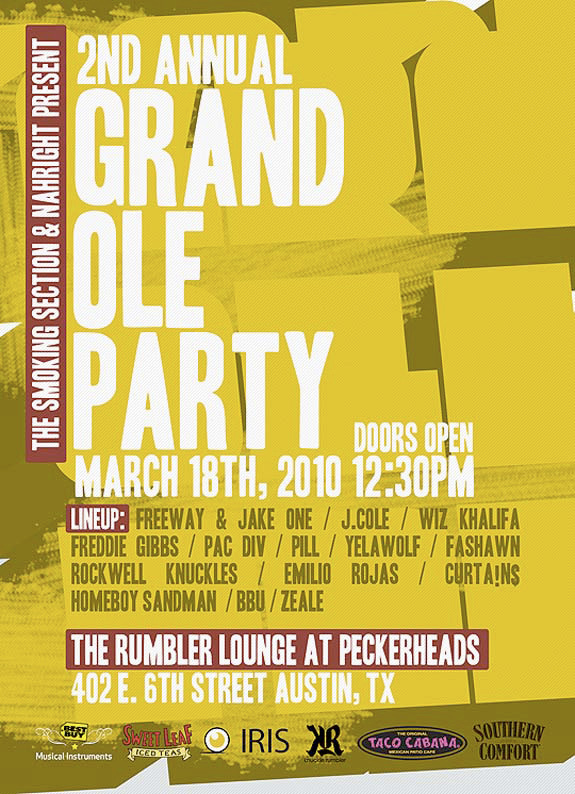 Knucklerumbler, The Smoking Section and Nahright are presented a hip-hop showcase at SXSW 2010 called Grand Ol Party. It’s the second annual Bootleggers and Tastemakers party and will include performances by Freeway, Jake One, J. Cole and DJ Trackstar will be spinning all day. R.S.V.P. is required. Check out details of the event below!